Man this pic is creepy and cool at the same time. 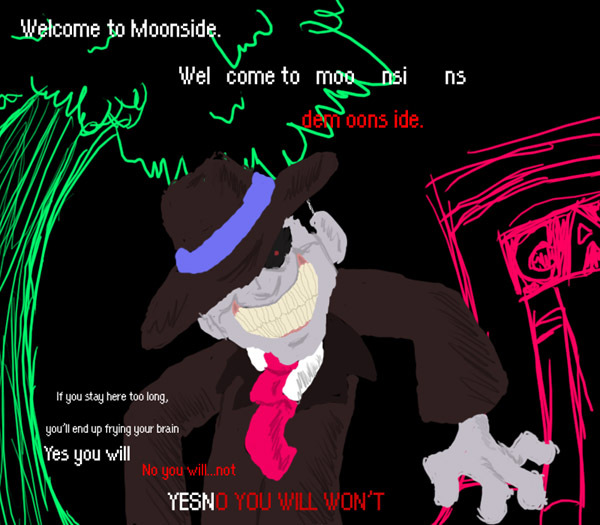 Yet again this is from Earthbound, and this is a pic that takes place in Moonside. Just a few words, I am the ultimate Nintendo freak.